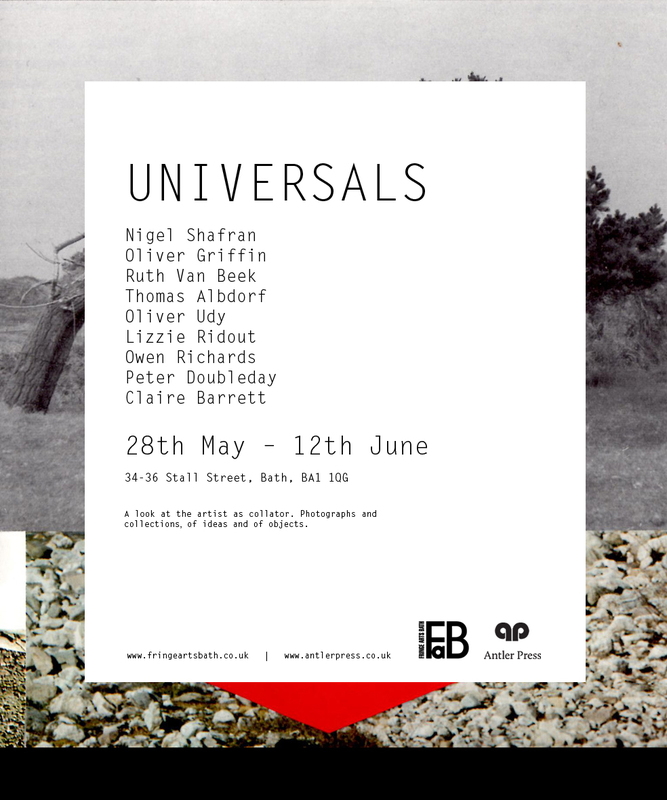 I'm showing some work in Universals, curated by Oliver Udy, in Bath from 28th May to 12th June. The show explores collections through photography and objects. I'll be presenting some new ideas for my In Absentia project. If you're in the area and have some time, do go and have a look - some of the other artists look really interesting. I particularly like Ruth Van Beek's work.